Every bathroom needs to be equipped with certain staples, but beyond toilet paper and soap, where can you score the best deals? Here, we look at essentials like cotton swabs and cotton balls to see where you can save the most. When it comes to cotton swabs, Q-Tips are the most popular and well-known brand. The average price for a box of 500 Q-Tips is $3.99, but if you're comfortable with buying in bulk, you can get two 500-count boxes at Walmart for $6.56. You'll save $1.42 and have more than enough swabs to last you a while. However, if you want to save even more money, you should go generic. 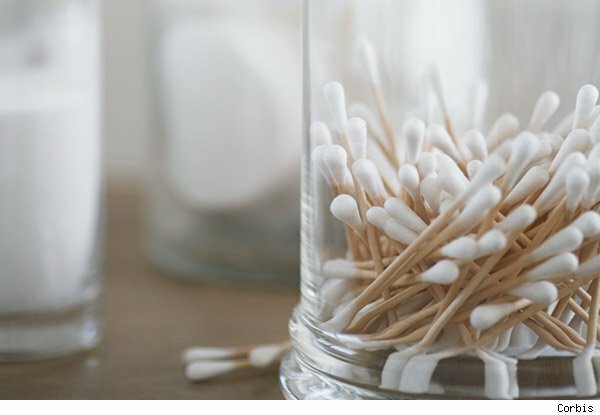 According to customer reviews, generic brand cotton swabs are just as effective as Q-Tips, but cost half as much as the name brand. For instance, you can get a 500-count box of Walmart's Equate brand cotton swabs for $1.94. One Walmart customer wrote, "Have you priced the name brand ones lately?!! These are the best value if you ask me. You can swab on antibiotic ointment, wipe behind your ears etc. and the cotton does not come off. Very satisfied with these and the price." In the cotton ball department, we compared the jumbo size from Swisspers, Cotton brand and Target's Up & Up brand. Swisspers' offering costs $2.58 for a 140-count bag, while Target sells a 200-count bag for $1.89 cents. Cotton brand's bag costs $1.88 for 200, making it the cheapest option, but just by a slight margin over Target's Up & Up brand. Both cost less than one penny per cotton ball, while Swisspers' cotton balls are nearly 2 cents each. Both the Swisspers brand and Cotton brand cotton balls got a five-star rating from customers on Walmart's site, but if you want to save on this item and others, stick with the generic brands for the best bargains.